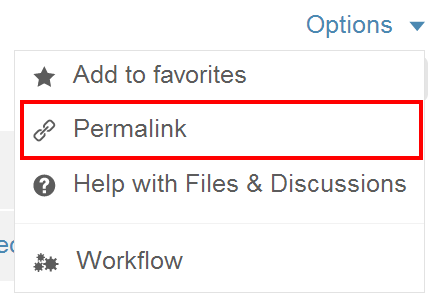 Permalinks can be used to point workspace members to specific items in iMeet® Central. 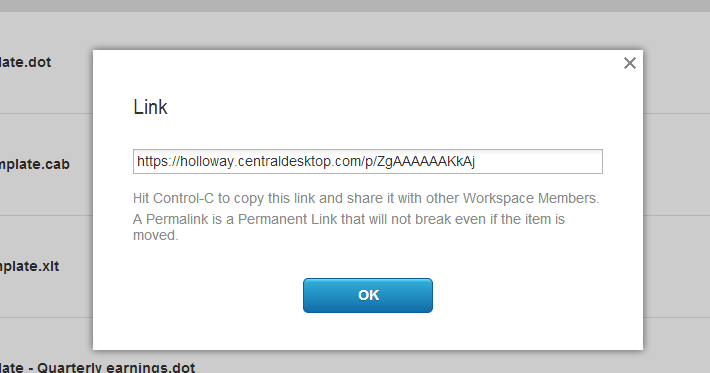 This link will not break even if the item is moved to another workspace. However, the link will be inaccessible if the item has been permanently deleted. To copy the permalink of a page in iMeet® Central, click on the Options drop down menu and select Permalink. The permalink light box will appear with a unique URL to your content. Copy and share this link.